Royal Caribbean Cruises offers Barbie Premium Experience with cabins decorated in Barbie colours and dolls just the beginning. Kids’ wildest fantasies come true with these out of this world hotel packages for young ones who have (or demand) everything. In the heart of London’s Mayfair, Grosvenor House Apartments by Jumeirah will entertain kids with their Adopt an Elf experience. Two elves turn up for three hours a day to entertain the kids. They will install your private Christmas tree, write Santa letters, take pirate trips to the aquarium and Harry Potter tours. Santa arrives on the last day to collect the letters. The cuteness in Mayfair comes at a price – $11,300 for a five-night stay for four. Across the Atlantic, The Peninsula Chicago is teaching little girls ‘How to be a perfect princess’. The pampering starts with a royal dress and tiara fitting – but they will also learn their manners at afternoon tea before boarding a pumpkin-shaped carriage for some shopping. Returning to the hotel she arrives on the red carpet where Prince Charming fits her glass slippers and gives her the keys to the kingdom. You’ll need a king’s ransom; from $3600. And the boys can get a personal tour of the Chicago Fire Station as part of the Young Firefighters in Training experience; from $370. And at sea, Royal Caribbean Cruises goes all out with the Barbie Premium Experience. 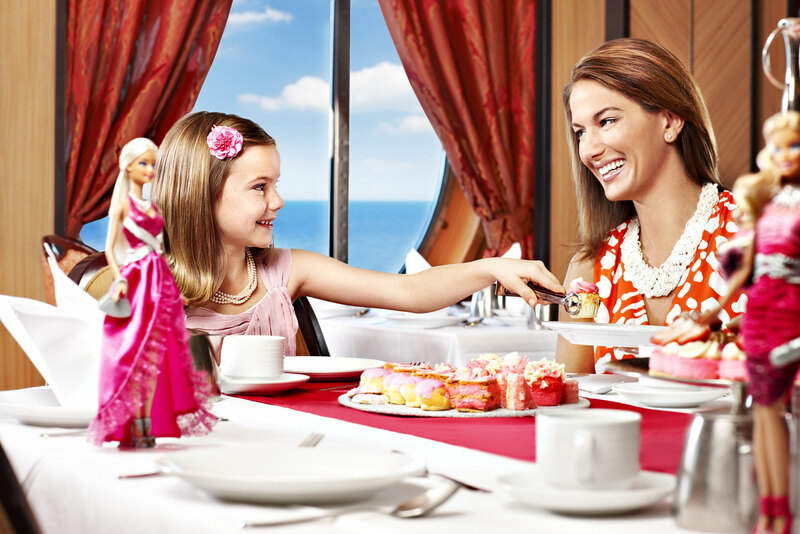 Cabins are decorated in Barbie colours and dolls, and girls partake in fashion shows, tea parties and other Barbie experiences. From $360. the biggest changes. Thanks a lot forr sharing!